The Oldest, Largest, Most Diverse and Inclusive Global Interfaith Event is Coming to Toronto! 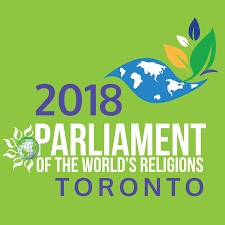 We call upon peoples of faith and conscience to stand for a more just, peaceful, and sustainable world and join thousands of interfaith activists from around the world at the 2018 Parliament of the World’s Religions. 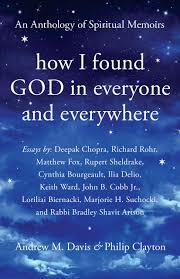 Love Beyond Belief™ is a unique and wonderful opportunity for you and your congregation! 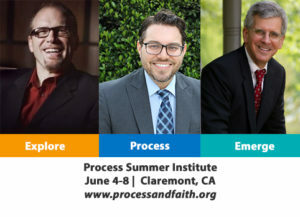 Process and Faith is pleased to be partnering with the California-Pacific Conference of the United Methodist Church to present The Rev. 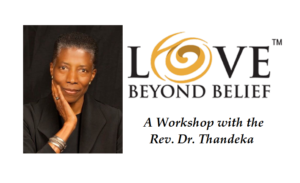 Dr. Thandeka and her Love Beyond Belief™ program for church revitalization. Love Beyond Belief™ is a program that equips congregations and their leadership to meet the emotional and spiritual needs of people who strive to revitalize themselves, their churches, and the world. The 2018 AAR Annual Meeting will be held in Denver, Colorado, November 17–20. Information and registration can be found at www.aarweb.org. Stay tuned for more information on process-related events during the conference.